Israel's leading writer, Amos Oz, was born in Jerusalem in 1939 into a family of scholars and teachers, fervent Zionists from Russia and Poland. "A writer of revelatory genius" his work "admits the complexity of a moral view of life", witnessed by his fundamental role in the Peace Now movement, dedicated to finding a solution to the Israeli/Palestinian conflict. Oz's novels include My Michael, Black Box, Fima, Panther in the Basement, The Same Sea and most recently A Tale of Love and Darkness. His essay collection In the Land of Israel, describing travels during the Lebanon War, sparked enormous controversy. The Slopes of Lebanon is where The Story Begins. "History completely ignores literary visions." 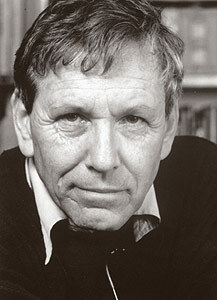 Amos Oz lives in Arad, Israel.